Our book is now available! Our recent appearance on Ben Fogle’s New Lives in the Wild introduced the idea of budget sailing to a whole new audience – an audience who may have never considered the possibility that such a dream could be made a reality, on such a small amount of money. 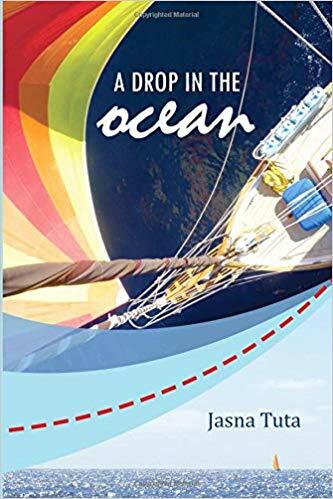 This book is for them and for any experienced sailors who want to cast off the yoke of consumerist yachting and get back to what really matters at sea. Amazon.com, Amazon.co.uk, Amazon.it, iBooks, Nook, kobo and Oyster. 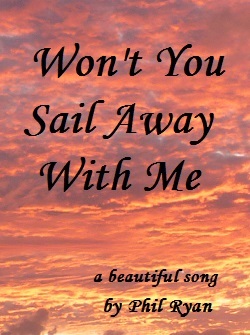 This entry was posted in Uncategorized and tagged books, cruising, lifestyle, sailing. Bookmark the permalink. 18 Responses to Our book is now available! It is going to be the next book on my night table! Can’t wait!!! Me too I just bought a kindle for our winter Southeast Asia trip, I’ll add this to my list! Congratulations friends!!!! Great book, not met Rick & Jasna yet but had some coms and looking forward to our paths crossing. Hey guys! Bought the book by chance, then was pleasantly surprised to read you were also featured on telly (when I got to that chapter)! Watched that quite a few times already I think the programme compliments the book really well and I recommend anyone who hasn’t, go buy a copy! I just wanted to write and say thank you and I think you guys are extremely Funkadelic. I hope to cross paths someday. I can’t even sail properly but am beginning to put things into place myself so I can do this too, literally starting from scratch in Liverpool. I was going to do a world tour on motorcycle but then had an accident, then the boat idea came and see the dream is already alive! Thanks for the message and for buying the book! Can’t tell you how happy we are that you liked it and it has helped push you towards joining us out here on the big blue wobbly thing. We are equally pleased to discover that we are “funkadelic” as it is a quality that I am sure we would aspire to, despite being a little unsure of its detail. As a lover of all things two wheeled, l understand the desire to do a world trip, but it is waaàay to dangerous. I know that may sound counter intuitive to some, but sailing is a miliion times safer and more rewarding in many ways. Thank you for spending the time to write a fantastic little book (which I believe should be the purchase made before the boat). It has made me stop for a bit and think a little more about the boat to buy (although I am still in love with the Adams 42). I don’t know how many of the pages I have folded over so that I can use for a reference in the future. My budget for a boat is $50k to $80k AU, so your book will surely help me make that purchase. I can’t justify spending any more than that, after all the boat is for my and my partners entertainment and not for others to love. The more and more I read about “free sailing” the main thing I am finding out is the only two plans to be made are to buy a boat and the second is to go where the wind makes you happy. An old boss used to have a saying “there is no such word as can’t” I live by it and I am glad to see that you guys do too. I can’t wait to put it into practice on board a boat while setting off to the Whitsundays. Again; Thank you for the book I hope the money it has cost me will help fund your journey. I hope we cross paths someday. Any chance you guys are going to make this an audible book? There are a lot of us out here that listen to a lot of books because we are driving a lot. Thanks for the idea Scott! This may be an interesting project for the coming cyclone season. hello , j ai regardé votre reportage avec beaucoup d attention ,nous aimerions aussi partir mais nous cherchons une idee pour avoir un petit revenu pour l entretient etc. je suis interréssé par votre livre , est il traduit en francais . Merci et bonne route . Bonjour. Merci pour votre message. Nous espérons faire bientôt une version française. Envoyez-nous votre email et nous vous contacterons quand il sera prêt. I just finished reading your book and loved it. Very practical, straight to the point and funny. It was just what I needed to realize it’s possible to quit this fake life we (land lubbers) live in. I’ll definetively join your comunity sooner or later. Tell me something. In chapter 15, you say that the Virgin Islands is a good idea to start looking for a good boat. Are you talking about BVI or USVI (or both)? Glad you liked the book! I have replied t your email address. Great book! Thank you for writing this. My wife and I made the decision to jump into a sea gypsy life a few months ago. the book helped both of us answer many questions. The house closing is coming soon. Our boat of choice is sitting in Ft Lauderdale. We haven’t purchased yet so we hope it survives the storm. We hope you are safe while Irma and Jose pass through. Devastating paradise. Right now we are considering a change of plans that involves helping with relief efforts.